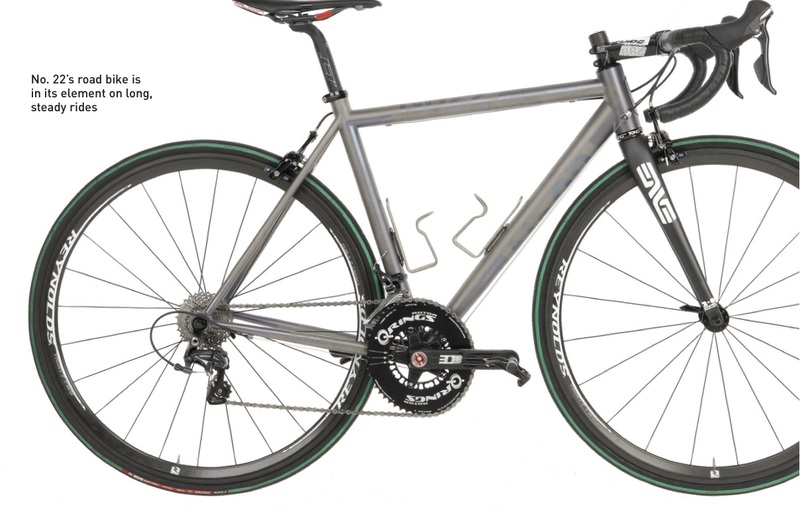 No22 bikes are some of the best constructed titanium frames available, thanks largely to the production staff hired from the former Serotta crew earlier this year, who on average have more than 14 years of titanium fabrication experience each. The quality of the welds, mitering and finishing are spectacular and not just for the bike industry but any industry. When a frame is welded the heat from each weld causes the material to expand and contract which causes the frame to pull slightly out of alignment. Most builders will weld the entire frame, and then take it to the alignment table where big corrections are made by bending the frame with a press or bar until it is straight. In contrast No22 align the frame after each set of welds, with a total of seven trips to the alignment table for every frame, with minor corrections made each time. The result is that No22 frames are straighter and stronger than the competition. ← Full Carbon For A Bag O’Sand!